I took up riding for my husband…after attending 2.0 I’m riding for me. Cheryl E.
I overcame my limitations and became a much more confident street rider. Randy M.
Riding on Sonoma Raceway was on my bucket list for years. So glad I got the opportunity. Michael B. WHAT IS Z2 ROADRIDER 2.0? Our 1-day course provides comprehensive training in all aspects of street riding for all types of motorcycles. The best part of our class is our student to teacher ratio. We offer lots of 1:1 coaching and we keep the class sizes small so we are able to get to know you personally and teach dynamically to your individual needs. 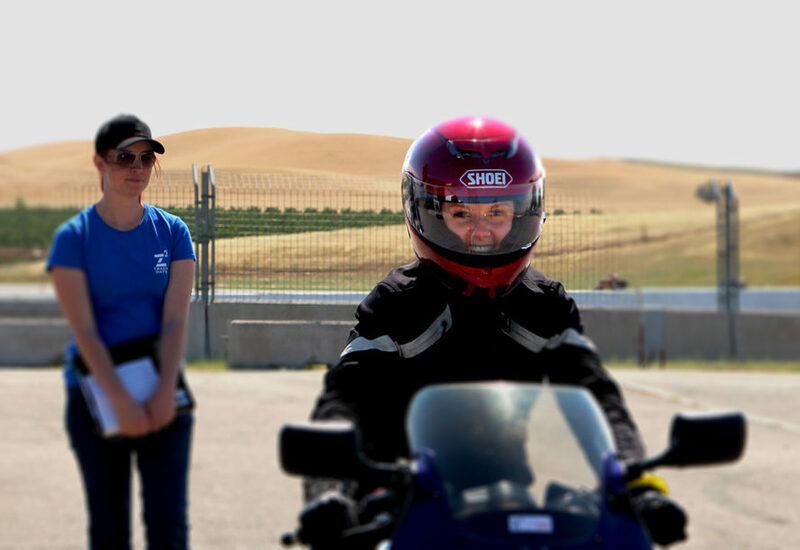 Plus, we include two on-track sessions to practice what you’re learning in the safest and most amazing environment around – Sonoma Raceway! Personalized coaching so whether you are a beginner or advanced rider, we teach to your ability and experience level. We are able to address every student according to what you need, filling the gaps in your riding knowledge even if they’re outside of the standard curriculum. We are now offering two levels of our Z2 RoadRider 2.0 course. Both cover a broad range of advanced coaching. For novice and intermediate riders, or riders returning after some time away, this course is geared to sharpen your skills and significantly increase your confidence in dry and wet weather riding. This class goes far beyond the basics and dives into advanced skills to control your motorcycle with precision. The Advanced Street Challenge leaps to an entirely new level, focusing on advanced street rider training and includes some fun gymkhana styled competition. This class is for seasoned street riders only – we guarantee you will be challenged! Your gear should be good street gear – boots that cover your ankles, sturdy jacket and pants, gloves and helmet. Look at the weather forecast for the day and make sure you have appropriate gear for the weather. We will still run this course rain or shine so be prepared. Your bike doesn’t need to be track prepped but it should be in good working order with no leaks or stuff falling off. Make sure your tires are in good shape with correct pressures set – they don’t have to be new but bald is not okay. Also check your oil and coolant levels as you want your motor to be ready to rock. You may want to bring some snacks, water and electrolyte replacement drink. The mornings can be chilly so dress warmly for your ride in. Please plan on arriving to the track by 7:15 so you can complete registration. If class is on a weekday, leave extra early because traffic on Highway 37 is pretty bad. Registration will be at the same place as the track day sign in area but let them know you are with the RoadRider 2.0 school. Class will run until about 6:00 pm. Check out the article about our RR program in City Bike.